One of my millennial staple websites is Refinery29 – it’s colorful, fun, creative, inspiring, and full of all things travel, fashion, lifestyle, and entertainment. Naturally I was very curious about what a company like Refinery29 would create in the space that it calls home. 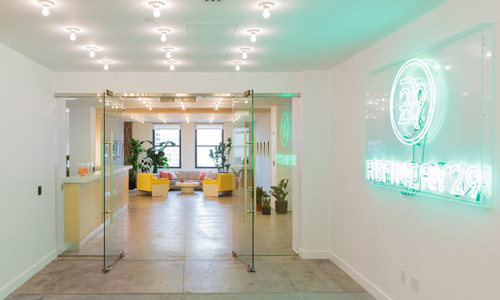 Few things get me more excited than when a company’s office fully captures the essence of its brand – and Refinery29’s chic space in Manhattan is one that does exactly that.